This 5-pack of pom-poms are made for easy use as a row material by crafters and artists in their projects. The sizes of 5-pack pom-poms may vary from 1.5" to 2.5". It may be packed as 3 pom-poms with 1.5" and 2 pom-poms as 2.5". 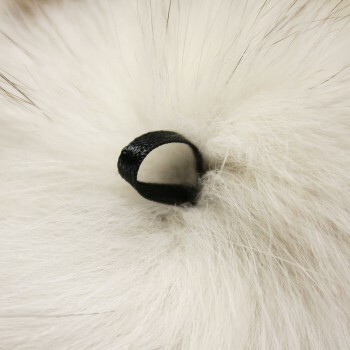 Due to this is a bulk product, the material may vary between Mink, Coyote, Fox. The color may vary between Dark Brown, Light Brown, White, Off-White, Red or similar. The pom-poms are made of real fur and are not dyed or artificially colored. The colors may be not exactly as shown, but have a tone similar to what is stated in our description. These are beautiful and will be used in knitting projects . 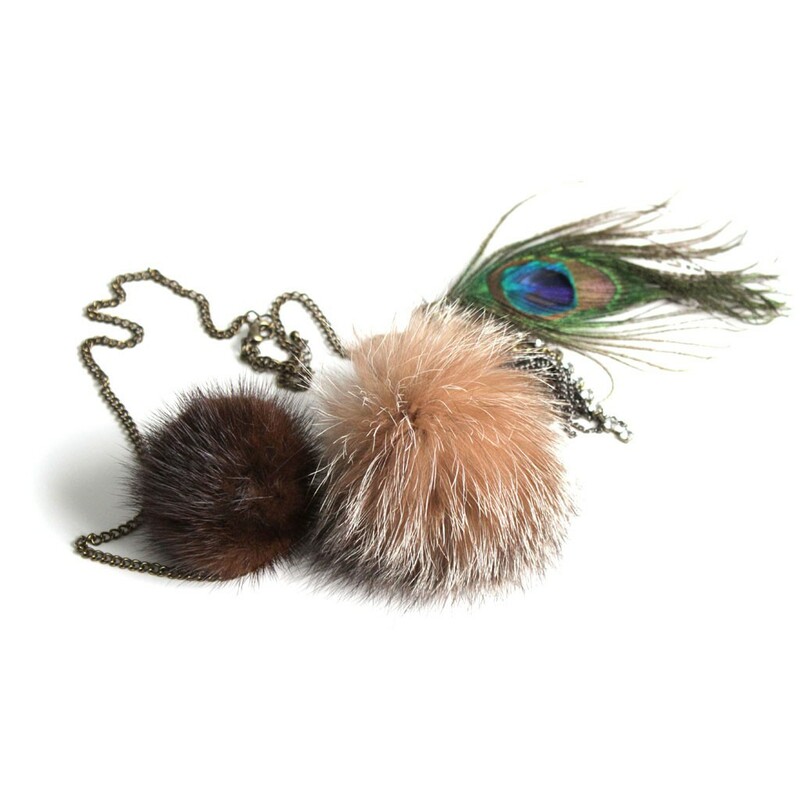 The fur pom poms are great and the shipping was super fast around the holidays. I would have loved more of the larger pom poms as I use mine to attach to homemade hats. Also a little guide with what the furs are would be helpful in the future. 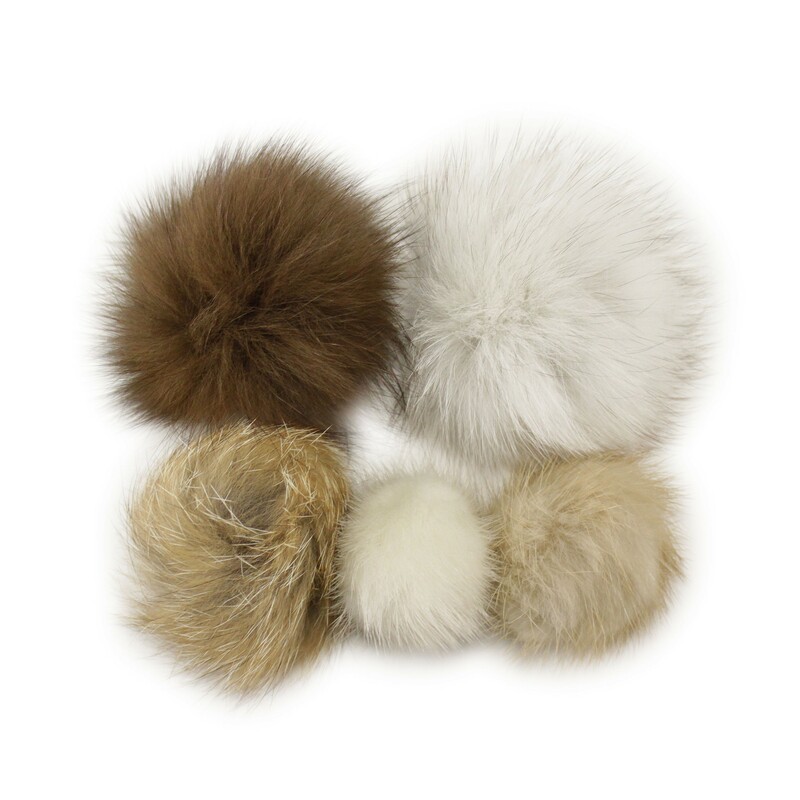 Lana's Pom-Poms made of real fur to add a luxurious accent to your favorite garments or gadgets. Our fluffy pack of 5 pom-poms can be used as a row material for your craft projects, to make a perfect key charm or a keychain, or can be attached on knit hats, gloves, jackets and coats. Each pom-pom in a pack has an eye-loop for easy attachment. 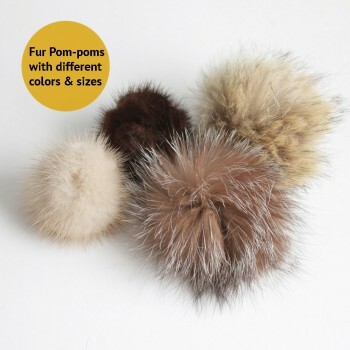 * Note: Because of 5-pack of Lana's pom-poms are made of real fur and it is not dyed or artificially colored, the colors may be not exactly as shown, but has a tone similar to what is stated in our description. Pom-poms do not have lobster clips but comes with eye-loop.